This article was published by Marketing Magazine in January 2016. Tell us about your typical day as a brand strategist. Who do you meet with and deliver to, and what are you expected to deliver? I typically spend my day with a creative director (ideating a company position), a researcher (looking for customer insights), a graphic designer (creating a visual identity), a writer (explaining the brand in words), and of course a client (setting objectives and evaluating progress). A typical project takes three months, but I’m not expected to deliver every day. The client expects weekly progress updates. Inevitably, we produce a brand plan and a creative strategy. Give us the gist of what brand strategy is all about. A brand is what people think and feel about a company. By listening and responding to those thoughts and feelings, brand strategy helps a company develop relevance (which is what drives a purchase, a referral, perceived high value, and loyalty). Brand development is often thought of as a graphic exercise (loosely termed “branding”), but when done properly, it lives comfortably in business planning. As a result of a brand strategy process, companies often change products or services, company or product names, prices, target markets, suppliers, manufacturing techniques, partnerships, cultures, graphic identities, communication styles, HR policies, organizational structures, and more. 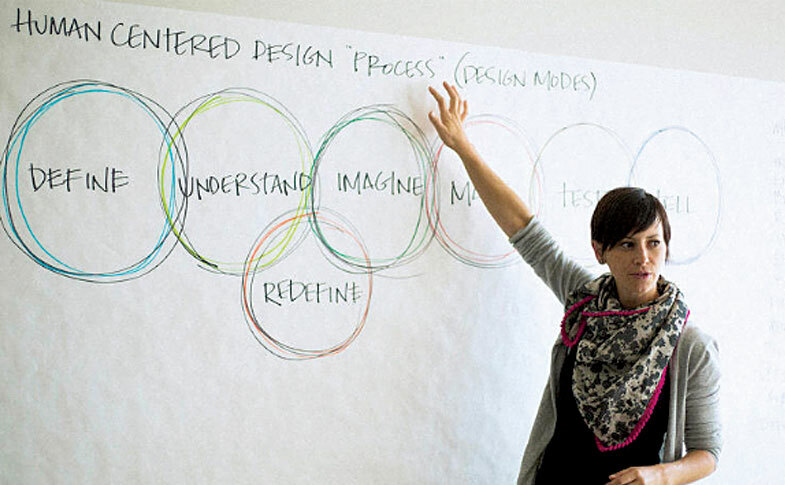 What are some crucial skill sets a Brand Strategist must possess? How do you recommend honing these skill sets? Good brand strategists should be nerds, creatives, suits, and psychologists all at the same time. Honing these skills requires being on the job. It’s like swimming. The only training for swimming is swimming. Nerds: They need to take an analytic approach to research, consume tons of data, and find rhythm in chaos. Creatives: They have to distil lots of disparate information into clear concepts. Suits: The strategy has to address and progress the business plan for it to have positive outcomes. Psychologists: Because branding is somewhat symbolic, they have to understand cognition, semiotics, and behaviour in order to direct perception towards a predictable outcome. What kind of person do you see particularly excelling in this role? Why is that? The traits I’ve seen work are a mix of curiosity, restlessness, creativity, thoughtfulness, and discipline. They need to take complex information, distil it, and simplify it. They need to direct a room of ten people, all of whom have different agendas and perspectives. They need to be bold, honest, and courageous enough to deliver home truths. Above all, the lights need to be on. The person needs to have done a lot of self-development. Without that, they aren’t able to take things beyond the normal reach. What kind of professional and academic background does this role call for? I don’t know about education, but experience in advertising and marketing is a must. Working with multiple brands also helps, as it shows that there are rhythms in the work and allows you to understand them. Being on the client and agency sides is really helpful, as it gives you both perspectives. Exposure to the creative process is something that should be experienced or you’ll be stuck, unable to work with the team you’re leading. What career trajectory can a person aiming for this job title expect over time? They’d probably start as an account exec in a large ad agency, PR firm, or marketing agency. Then they’d move into a management position in charge of their own accounts. Then they’d move to a smaller agency where they start to help run business development and get a broader role, experiencing some operational aspects. Then they’d go out on their own and form a partnership in a new company. Then hopefully they’d hire staff and go buy a boat. Tell us about your biggest challenges working in this field, and how you tackled them. The first is collecting insights. These are the apertures that help create a relevant brand. They aren’t easy to find, so I partner with experienced researchers and also conduct lots of the primary research myself, which allows me to get closer to the information. The second is educating the client on the work being done. It’s a big learning curve for some people, and the ramifications are often overwhelming. I address this by including the client throughout the whole process, sometimes facilitating workshops and meetings that have no other purpose. What are some ways in which you’ve seen this role evolve over the years. What do you see it evolving into in the next few years? Typically, companies have used advertising to achieve relevance, but advertising is not only expensive and perpetual, it’s also becoming redundant as shoppers become more informed (social media) and more values-based in their decisions (think millennials). I’ve seen brand strategy adopted by more mid-sized companies over the last five years because they realize its huge potential to differentiate and create value (perceived and actual) for their customers. It’s also a sustainable way to build a business that doesn’t involve “buying” customers through ad campaigns. Inevitably, people will increasingly buy more from companies they identify with and who share their values. 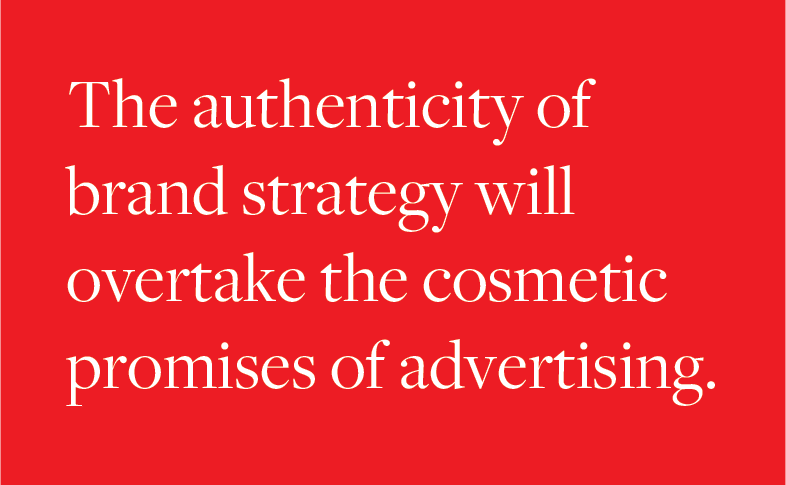 The authenticity of brand strategy will overtake the cosmetic promises of advertising. What do you absolutely love about your job? What keeps you going? I simply must create new things. I thrive on taking a huge, multidimensional problem and solving it. It’s like handling a life-sized Rubik’s Cube. The thrill of pivoting a business and seeing the transformational change in the leadership is what keeps me motivated. I feel very lucky that I get to create things. Important things.